There are a number of material options, sizes, shapes, and designs of patio pavers available in Greenville. Patio Pavers in Greenville – Here in the northwestern part of South Carolina, we experience very pleasant temperatures throughout much of the year. Between April and September, the average highs are between 65 and 85 degrees, so it’s not too hot or too cold to spend time outside. But if you don’t have an outdoor space that is functional and visually appealing, you may end up indoors more than you want to be. 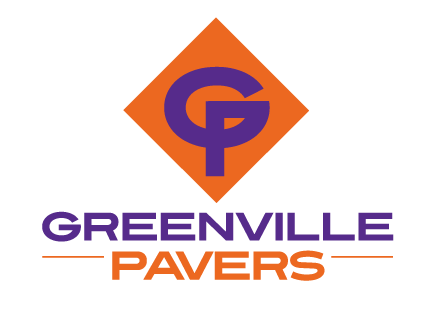 At Greenville Pavers, we are here to solve that problem for you, so you can enjoy the nice weather. 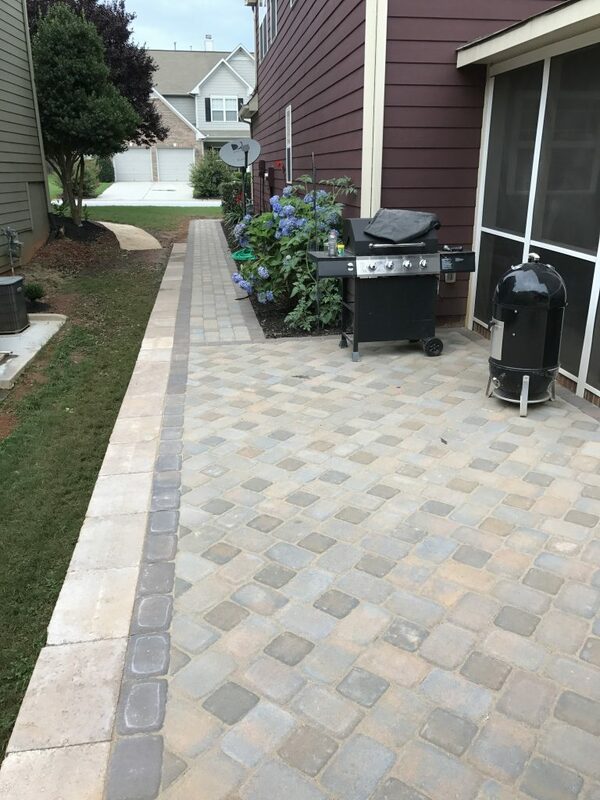 Our team is available to install patio pavers at both commercial and residential properties in and around Greenville, South Carolina. There are a number of material options, sizes, shapes, and designs of patio pavers available, so choosing the right ones for your space might seem overwhelming. But our goal at Greenville Pavers is to simplify the process and create the outdoor space that you have always dreamed of having. The most common materials for patio pavers are concrete and brick, both of which have their own set of pros and cons. Concrete pavers tend to be less expensive than other options, yet are very durable and functional. They also withstand all types of weather changes and are less likely to crack than a concrete slab. Brick pavers are visually appealing and add texture and depth to the space. They are also made from natural clay instead of being manufactured, so eco-friendly property owners often find them more appealing. No matter what type of patio pavers you want, we can help, so give us a call today to learn more about our patio paving services.